Corporate Social Responsibility has been an idea embedded into the pores of business foundation classes from the start. At the same time, I felt like it was more of an elaborate marketing ploy. Businesses are concerned with making a profit, I reasoned. Why would they willingly participate in extra activities and practices that would add extra costs? It wasn’t until I stumbled across ‘social enterprise’ that I truly understood the implications that this CSR could have for business. In the most basic of ways, social enterprises are the best mix of not-for-profits and businesses. It’s a term describing an organisation that has business operations (sale of goods/services) but exists or works towards a humanitarian benefit. Why is it great? It enables organisations to create sustainable change without having to rely on donations or grants. My first run with the term was about one and a half years ago, when I joined a youth-run social enterprise called AIESEC. AIESEC’s social mission is to develop global youth leaders, and empower young people to make a positive change, while its business operations are focused on facilitating the international experiences that enable young people to develop those leadership capacities. Interestingly, I was a ‘customer’ of AIESEC before I joined the organisation itself. 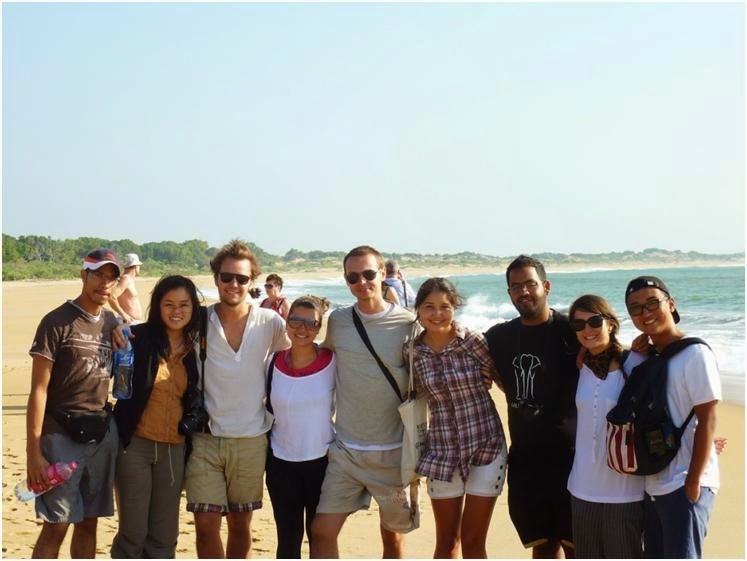 In the summer of 2012, I went on an AIESEC volunteering exchange, spending six weeks in Sri Lanka facilitating soft-skill training sessions for university students. From exploring a different culture, meeting like-minded youth from across the world, and working alongside locals on projects directly impacting their community, the experience challenged me to think differently about the world and how we can all play a part in making it a better place. Working alongside more than 40 young people from 10 different countries! I can definitely vouch for how much the life-changing experience has impacted me, and how gaining insight into not only how a social enterprise works, but also experiencing it firsthand has elucidated that businesses can care about more than just their profit margins. As young people, I feel like many of us want to work for something that’s actually making a positive impact, but may be unsure of how we can develop or utilise our business skills to do so. My answer? Discover the world of social enterprise, where business is moving more towards ‘creating shared value’ as opposed to ’corporate social responsibility’. In a legitimately unbiased way, I think it’s really encouraging that the Business School here at the University of Sydney offers a Community Placement Program which enables students to learn and work for a social enterprise and be recognised for their learning in an accredited course (BUSS2503, 6 units of study), as well as many other subjects on social entrepreneurship and community service. For more real life examples of social enterprises check out Thankyou Group, which sell things like bottled water to fund clean water projects in third world countries and TOMS Shoes, which donate a pair of shoes for each pair sold to a child in need.